Learn about the capabilities and benefits of IBM® QRadar® Security Intelligence Platform and the Security App Exchange. Learn how the University of New Brunswick is modernizing its security architecture using IBM Security solutions. Discover how IBM QRadar helps you quickly and efficiently detect and respond to security threats. A local government explains why they chose IBM QRadar and how it has been a true asset to their work process. Watch and learn about the four capabilities that can help you get your security operation running smoothly. This study compares QRadar to other leading SIEM providers in detecting and preventing malicious attacks. 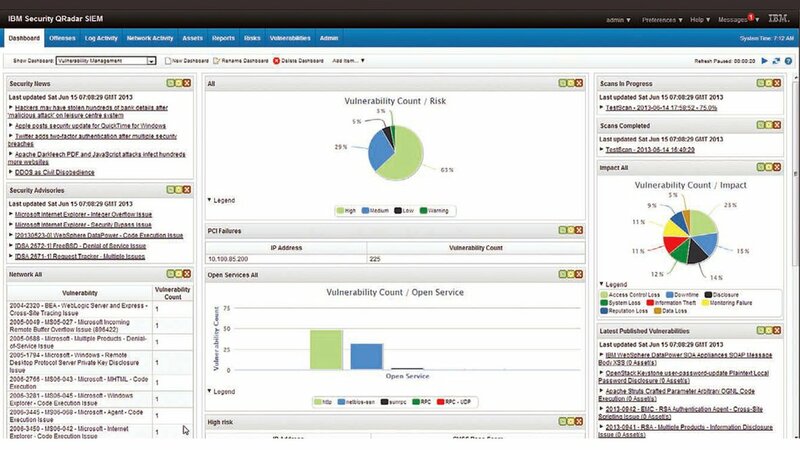 Learn how QRadar Vulnerability Manager improves security and compliance by prioritizing security gaps for resolution.